A bomb attack claimed by Islamic State killed two U.S. soldiers and two civilians working for the U.S. military in northern Syria on Wednesday, weeks after U.S. President Donald Trump said the group had been defeated there and that he would pull out all American forces. The U.S. military confirmed the four Americans were killed and said three U.S. troops were also wounded in the explosion, which an Islamic State-affiliated website said was the work of a suicide bomber. It was unclear what impact the blast might have on Trump's plans after he confounded his own national security team with a surprise decision last month to withdraw all 2,000 U.S. troops from Syria, declaring Islamic State had been defeated there. No experts believe ISIS (Islamic State in Iraq and Syria) has been defeated, despite the group having lost almost all of the territory it held in 2014 and 2015 after seizing parts of Syria and Iraq and declaring a "caliphate." Trump's Dec. 19 announcement was one of the reasons his defence secretary, Jim Mattis, resigned. It stunned allies and raised fears of a long-threatened Turkish military offensive against U.S.-backed Kurdish forces in northern Syria. Hours after the blast, U.S. Vice-President Mike Pence said he and Trump condemned the attack. He simultaneously restated U.S. plans to withdraw while also saying Washington would never allow Islamic State to re-establish itself — something experts say it will try to do following a U.S. pullout. Turkish President Tayyip Erdogan said he did not believe the attack would have an impact on the U.S. decision to withdraw from Syria, "because I saw honourable Trump's determination on this point." 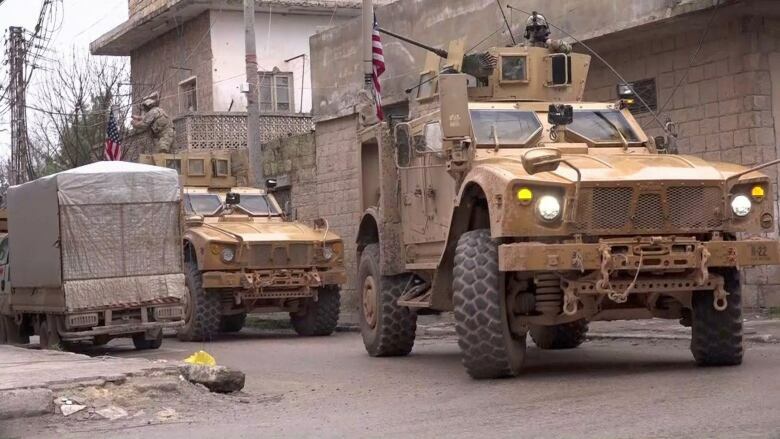 The U.S.-backed Kurdish fighters for the YPG militia that is allied to the fighters holding Manbij last month invited Assad into the area around the town to forestall a potential Turkish assault. Syrian army troops entered the area soon after. 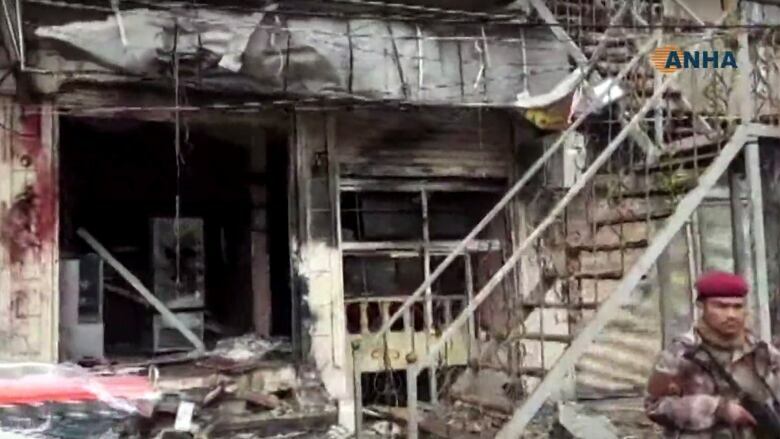 A witness in Manbij said Wednesday's attack had targeted a restaurant where U.S. personnel were meeting members of the militia backed by Washington. The U.S. military's Central Command said in a statement that the attack happened "while conducting a local engagement in Manbij." An ISIS statement later said a Syrian fighter had detonated his explosive vest on a foreign patrol in Manbij.